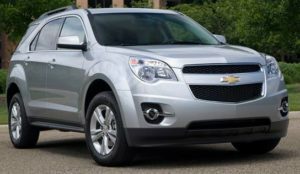 Do you want to save money on your Chevrolet Equinox car insurance? Who are we kidding; of course you do. Who wouldn’t want to save money on their auto insurance policy? The problem is figuring out how to go about doing so. But don’t worry, we are here to help. We can help educate you on the factors that determine how much your monthly premium will cost, and we can also give you strategies which will effectively lower your premium from here on out. The Chevy Equinox debuted back in 2005. It had a fairly healthy launch, selling more than 84,000 units that year. Sales have continued to climb on an almost yearly basis, with the exception of 2006 through 2008, as well as 2016. Of course, when sales start to slump is usually when auto manufacturers give their vehicles a makeover. The Equinox is no exception. It’s currently in its third generation, shrinking slightly in size over previous iterations. This may be an attempt to appeal to motorists who prefer the control and ease that driving a sedan offers, but might be a little intimidated by all the other Behemoth SUVs on the road. Regardless, 2017 sales exceeded 290,000 units, a significant increase over the 242,000 units sold the year prior. The 2018 Chevy Equinox models are getting a bit of a makeover over its previous design. Although some news outlets are implying that the smaller, more compact is somehow a drawback, The Equinox is receiving praise for added features which were not available in previous years. According to the New York Daily News, however, the newer models fall a bit short in the safety category when compared to the competition. How much do you think you should be paying for Chevy Equinox auto insurance in your state? Well, that can be a pretty difficult question to answer. You see, insurance companies in different states have to operate by a different set of rules when determining how much to charge their customers. Some states have very lax laws, while others are a little more strict with regard to insurance company regulation. Sometimes, insurance companies follow the “misery loves company” mantra when Insurance commissions try to cut into their profits by enforcing the rules. Unfortunately, that can translate into a more expensive premium for some drivers. Speaking of insurance companies trying to make a profit, different providers will have different priorities as far as things like their bottom line, their reputation for customer service, and their desire to establish a large and loyal customer base are concerned. At times, this can work in your favor as companies will provide extra benefits and discounts in order to earn your business. At others, you may see rate hikes or sacrifices in customer service quality as a result of your insurance company trying to prioritize profits over people. This is why it’s so important to compare quotes; it helps you figure out whether your insurance agent cares more about your business then making a quick buck, or vice versa. Indeed, discounts are a major strategy that insurance companies employ when they are either trying to attract new business or prevent old business from jumping ship. There are many different discounts you may be eligible for, like the obvious safe driver discounts or savings based on how long you have been with that particular insurance provider. Furthermore, there may be discounts you never imagined, like getting a rate decrease for being a part of a teacher’s union or temporarily being charged a lower premium during pregnancy. It’s important to keep an open dialogue with your insurance agent so that you know which discounts you’re eligible for, when you’re eligible for them, and how much you can save. However, it’s also important to keep your options open and make sure that you compare quotes on a regular basis between different companies in your ZIP code. The more informed you are about what rates are like in your area, the more likely you are to save the greatest amount of money. And we are here to help you do that with our quote generator tool. All you need to do is type in your zip code, and you can get half a dozen or more quotes in just a few minutes! It’s one of the easiest things you can do today to help yourself save money.